Office design has a uniquely complicated history. Over time, our preferences have flip-flopped and continue to do so. With the modern office’s dynamic constantly changing as our mental, physical, technological, and financial demands change, is there really one optimal office setup that works with every company in every field? History says no. Does the evolution of the office as we know it reflect the evolution of our changing attitudes toward work itself? We’re inclined to say yes. Let’s explore the history of closed and open offices, and how they’ve changed our perception of work. First, we have to revisit technological advancements. Initial advances in telecommunication meant that office workers could exist separately from other parts of the same company, like manufacturing and production. So, around the 1940s and 50s, the goal was to cram as many productive workers in one space as possible, the thought being more people + less occupied space = the most economical choice. Productivity, happiness, and efficiency weren’t exactly at the top of the average manager’s list. Workers did their work, and that was that. Picture one big room with rows of desks and phones. If your desk neighbor had to be on the phone all day, you had to try to ignore it. Eventually, while economically sensical, this office design was thought by critics to create more stress and distraction, ultimately halting productivity and efficiency. The history of the cubicle--Would its inventor come to regret his own creation? In 2014, the cubicle celebrated its 50th birthday! Seems like it’s been around for longer than that, doesn’t it? The creator of the original ‘cubicle’, Robert Propst, envisioned a setup where workers wouldn’t be under the constant watch of their bosses and colleagues--where they could have different surfaces to work on, rather than just a flat desk. 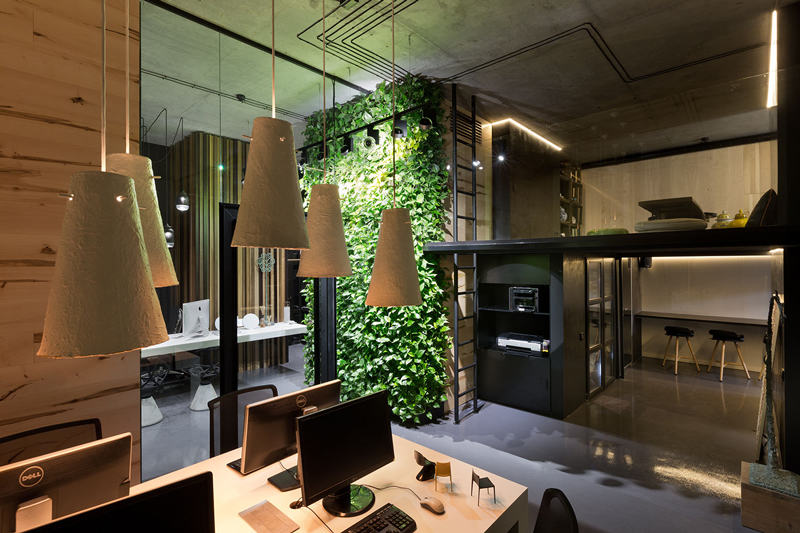 His initial design included several different workspaces, from a sitting desk to a standing area to wall-mounted filing. With his design, employees would have the freedom to complete their work in more ways than one. He said of the then-popular open office design, “Today’s office is a wasteland. It saps vitality, blocks talent, frustrates accomplishment. It is the daily scene of unfulfilled intentions and failed effort.” Propst wanted to provide an environment that would liberate modern workers, allowing them to use their space to their advantage. Unfortunately, Propst proved to be way ahead of his time. The initial 1968 debut of his design, The Action Office, completely flopped. Companies didn’t want efficiency--they wanted something that would fit their budget. Since it was much more expensive to have rows of Action Offices than rows of plain desks, why would office managers invest in such a wildly different concept? Understanding the first model’s flaws, the second model was produced to be much cheaper while still keeping some of its key features, like the adjustable standing/sitting position. Then, CEOs and managers everywhere quickly realized that the newer, cheaper cubicle could cram more workers in less space, while they still had their separate, windowed offices. And--the US Treasury created new tax rules in the 1960s that allowed businesses to write off the costs of certain pieces of office furniture, like cubicles. Cubicles are given a seven-year rate for depreciation, while regular walls are given almost 40. This sealed the deal. You can see why the cubicle became an obvious workstation choice for businesses everywhere. This realization led to the production of several more cubicle models by other companies, made even cheaper by eliminating many of Propst’s standout design features. The result of this over-production is the cubicle we’re very familiar with today--a box with a desk, some storage, and a chair. It became associated with visions of bland corporate monotony that Propst was eager to avoid in the first place. Open offices are back, but for the better this time? Compare a typical 1950s office to some small, trendy startup offices. Fashion choices aside, you may notice an alarming amount of similarities--Desk, computer, phone, chair. That’s it. Workers are sitting right next to one another without partitions in between, and suddenly many companies are re-living the reality that designer Robert Propst worked so hard to escape from. We ended up right where we started. We need to first ask ourselves if the reason behind open office design is the same as it was over 50 years ago. When today’s modern CEO says he wants an open office design, is it for the sole purpose of cramming as many people into a room as possible? Likely not. Today’s CEO has different ideas. He or she wants employees to be in an environment where collaboration, communication, and overall togetherness come easy. To him, the simple answer is the “open” and “airy” modern office, free of pesky partitions and barriers. One room, open visibility, constant communication--problem solved! But, as history has proven, excess openness is a problem. A successful office design largely depends on the company’s needs, and vice versa. A CEO can’t expect their employees to collaborate effectively in the same space where everyone else is working. In the same way, a manager can’t expect their employees to minimize mistakes in their work if they are surrounded by distractions. Today, effective open office design requires careful planning, organization, and direction. In order to avoid reverting back to the stress and noise of the 1950s office, it’s necessary to create an office space where workers can confidently switch between public and private environments--whatever suits their needs at any given moment. Creating an office space where employees can do their jobs without distraction is possible, but it’s a lot more difficult than throwing a group of people in a room and telling them to get to work. The success of today’s open office is entirely dependent on company culture. It is the difference between an efficient and an inefficient open office--It’s the difference between an employee loving and hating their job. Good company culture establishes direction, responsibility, and rules without encouraging employees to abuse technology (by “abusing technology”, we mean answering emails and calls at home--being constantly technologically available). Negative company culture brings us right back to the distracting open office of the 1950s, where managers acted as overseers and workers were expected to be elbows-deep in their job until it was time to go home. When positive company culture allows workers to focus more and stress less, employees embrace creativity and confidence, leading to better productivity. But company culture does not come easy, and it can’t happen overnight. It must start with the CEO and upper management, and trickle down to everyone else. Yes, it is possible to find a happy medium between depressing rows of desks, and monotonous, lonely cubicles--and some companies are embracing positive company culture and catching on. A multi-space is exactly what it sounds like, and is the end-product of positive company culture. It is the answer to the open office problem. The multi-space design destroys the idea of an open office as an office without partitions. It takes into account collaboration, privacy, and focus, a space that’s optimal for both a team environment and an individual environment. Any potential distractions, noise, and unproductive social activity must all be considered when trying to create the perfect multi-space--the goal is to maintain productivity without it feeling forced, no matter the task or the person doing it. Project privacy is important to productivity. It’s crucial for an employee to have the freedom to choose their environment. If an employee’s usual duties typically require collaboration, but one certain task needs time without even the slightest chance of interruption, the multi-space delivers. Employers are beginning to understand that this concept alone is at the foundation of efficiency and productivity. Ideal multi-spaces are all about choice, something both the open office and cubicle simply do not offer. Does that mean every office needs expensive soundproof chambers and arched, egg-shaped chairs in order to be successful? Not exactly. As long as meeting spaces are defined as such and not considered hyper-private or off-limits, employees are more likely to feel comfortable in their own spaces without needing to drown out their surroundings with headphones. Now more than ever, companies are learning to cater their workspaces to their employees, not the other way around. If Robert Propst were alive today, he might very well be hopeful for the modern office’s not-so-distant future.